All membership and registration enquiries are handled by the Registrar's office. When contacting the office please remember that Western Australia is 2 hours behind the East Coast and 1 1/2 hours behind Central Australia (standard time). Add an hour during daylight saving as WA does not have daylight saving. 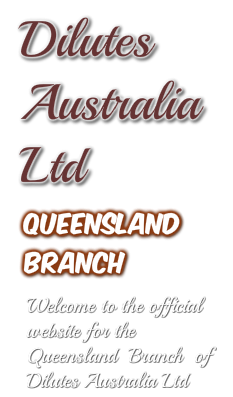 For your convenience forms can be downloaded from the forms and downloads page on the main company website - www.dilutesaustralia.net. We have also provided a handy guide to joining and registering your dilute, ancillary or broken coloured dilute. Dilutes Australia registers all the currently known horse and pony coat colour dilutions - cream, silver, dun, champagne, pearl and mushroom as well as the non-dilute, solid progeny of our studbook registered dilute mares and stallions. We also have a showing register for broken coloured horses and ponies that are dilute in colour AND which carry a broken coloured breed registration ie paint, pinto, appaloose, palouse etc. Studbook Register: mares & stallions - must have 2 registered parents. Proof must be provided. Must PASS colour and conformation standards. Palominos are required to be classified from the age of 2 years. Non-studbook Register: mares & stallions - either one or both parents are unknown / unregistered / unproveable. Must PASS colour and conformation standards. Palominos are required to be classified from the age of 2 years. These horses have full showing rights. NB: progeny of Dilutes Australia non-studbook registered dilute mares and stallions are not eligible for Ancillary registration. Gelding Register: may have either registered or unknown / unregistered / unproveable parentage. Must PASS colour and conformation. Palominos are required to be classified from the age of 2 years. Non-dilute Ancillary: the non dilute ie chestnut, bay etc progeny of a Dilutes Australia registered studbook mare or stallion. Colts and stallions 2 years of age & over are required to carry a breed registration to be eligible for Non-dilute Ancillary registration. Dilute Ancillary: the dilute progeny of a Dilutes Australia registered studbook mare or stallion that is a DIFFERENT DILUTION to that parent ie buckskin or palomino progeny of a Dilutes Australia studbook registered cremello mare or stallion. All dilute ancillaries must be registered in their respective dilute register to be eligible for Dilute Ancillary registration. Foundation Mares: solid, non-dilute mares that have produced a registerable dilute foal. These mares may be either registered with another breed society OR may have unknown or unproveable breeding. Breeding Purpose: for palomino mares and stallions who fail classification on COLOUR. Where the mare or stallion in question would have been studbook registered, this registration entitles their non-palomino offspring (dilute and non-dilute) to be ancillary registered. Where the mare or stallion in question would have been non-studbook registered, this registration entitles their dilute offspring to studbook registration.